One way to make a small room look spacious is to let in a lot of light. This is the very principle we tried to apply while working on this project, and it did work perfectly. 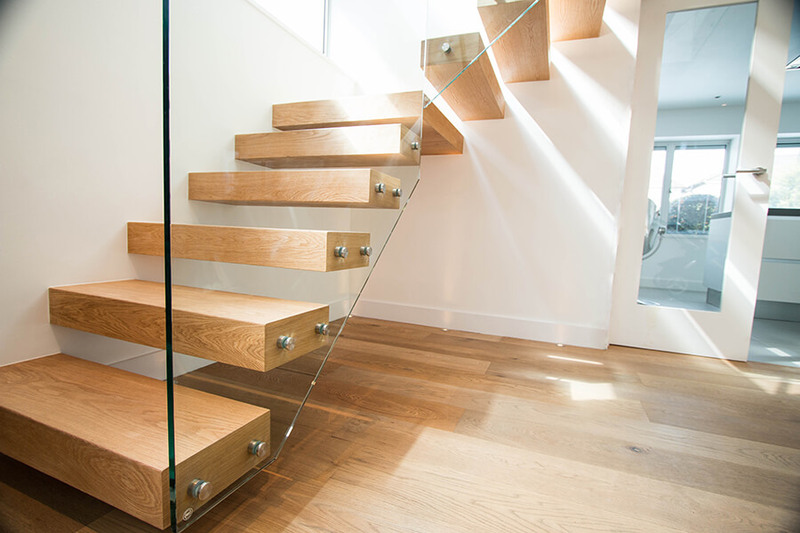 We chose a floating staircase with warm oak treads and a glass balustrade. 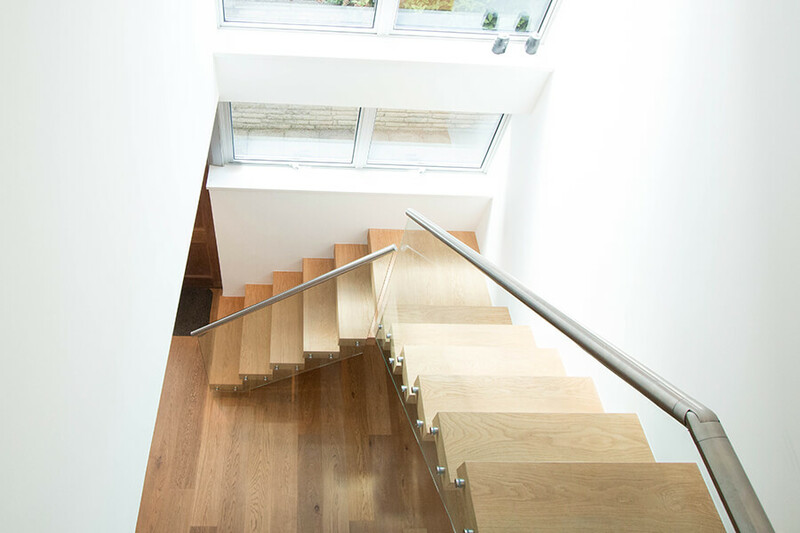 The warm wood reflects the light that gets into the corridor through the windows and creates a soft yet rich glow. 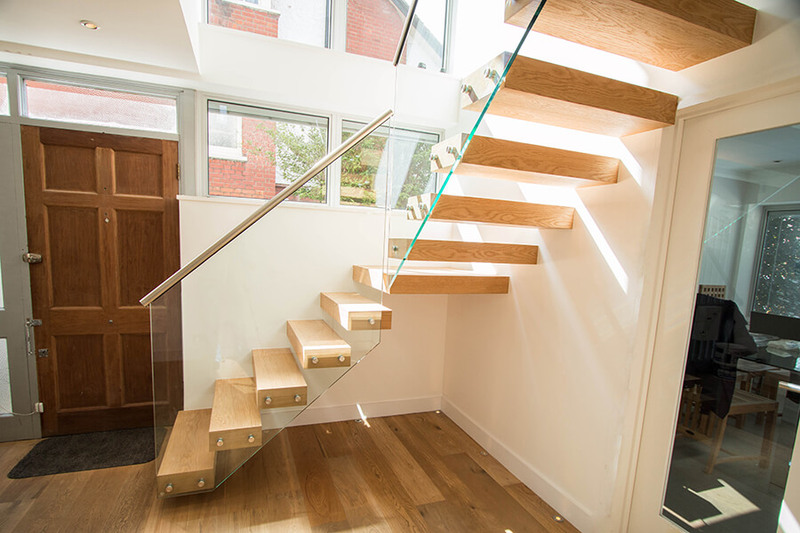 The transparent glass lets the warm glow spread throughout the room. 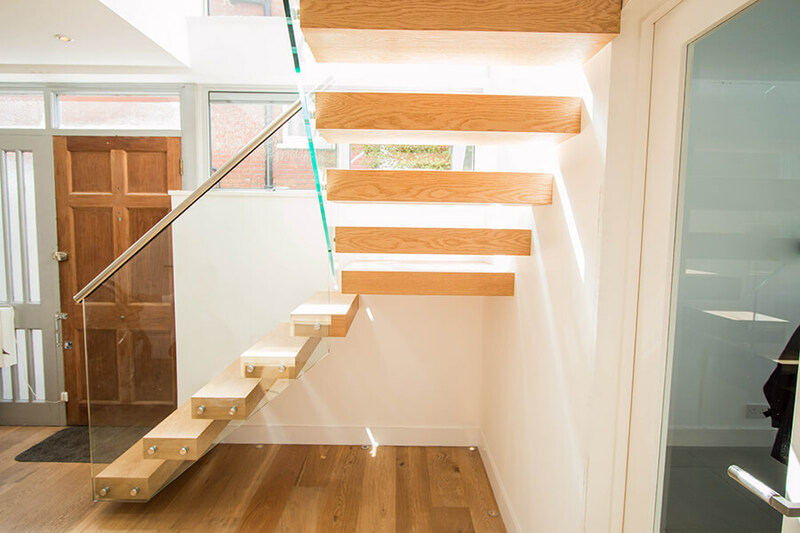 To amplify the luminous effect we installed a few lights in the floor right beneath the landing. Such a bright interior can truly enhance your mood.